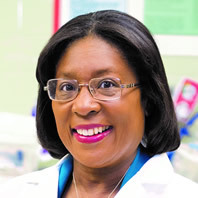 Dr. Virginia A. Caine, MD is Director of the Marion County Public Health Department. She is an Associate Professor of Medicine at Indiana University School of Medicine Infectious Diseases Division. She served as the President for American Public Health Association, the nation’s oldest and largest public health organization. She received the BioCrossroads “2017 August M. Watanabe Life Sciences Champion of the Year” Award. Dr. Caine works tirelessly to promote and advance public health through innovative programs and unprecedented collaborations. Her boundless energy, vision and drive to serve people, especially disadvantaged areas, have led Dr. Caine to have her fingerprints on numerous projects. In 2018, Dr. Caine launched a Safe Syringe Access & Support Program after a spike in the number of hepatitis C cases in an effort to save lives by reducing the transmission of hepatitis C and HIV. Dr. Caine declared a public health emergency as a first step under state law to be able to establish a syringe exchange program. The second step was to get approval from the City-County Council. As a result, the City-County Council unanimously approved the proposal to create Marion County’s first syringe exchange program. Upon its passage, Marion County became the largest in Indiana to adopt a syringe exchange program. She is Chairman of the Board of Trustees for the National Medical Association and current Chair of the Infectious Diseases Section. She is a board member of the CDC Morbidity and Mortality Weekly Report (MMWR) Editorial Board. She is Chair of the Managed Emergency Surge of Healthcare (MESH) Coalition, a nonprofit public-private partnership addressing emergency preparedness in Marion County, Indiana, as well as, the I.U. Simon Cancer Center Community Advisory Committee. She is a member of the National Biodefense Science Board, which provides expert advice and guidance to the Secretary of the U.S. Department of Health and Human Services and the Assistant Secretary of Preparedness. She is also Co-Chair, Jump In for Healthy Kids Advisory Committee; Founding member, Indiana Health Information Exchange; and Board member, Indiana Latino Institute. Dr. Caine earned her medical degree at New York Upstate Medical Center in Syracuse. She completed her Internal Medicine residency at the University of Cincinnati College of Medicine. She received her Infectious Diseases fellowship training at the University of Washington in Seattle.